This ticket is for adults (aged 18+) access to Y Not Festival 2019 and general access to camping from Friday the 26th July leaving Monday the 28th July. Please note all Adult and Youth tickets only allow entry from Friday 26th July. If you wish to arrive on Thursday 25th July you will require a Thursday Entry Upgrade. You do not need to upgrade child tickets. 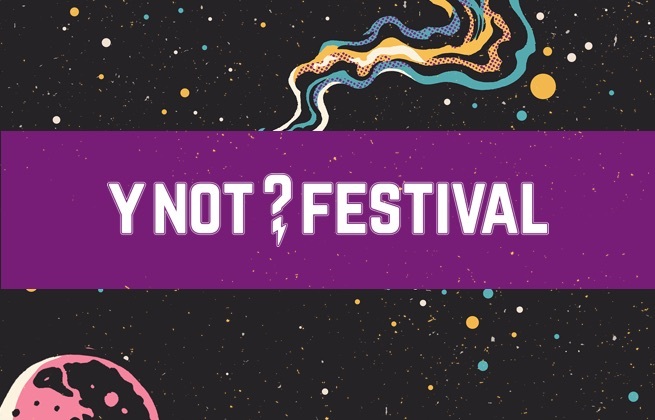 This ticket is for youth (aged 13 to 17) access to Y Not Festival 2019 and general access to camping from Friday the 26th July leaving Monday the 28th of July. Please note all Adult and Youth tickets only allow entry from Friday 26th July. If you wish to arrive on Thursday 25th July you will require a Thursday Entry Upgrade. You do not need to upgrade child tickets." This ticket allows entry to the festival on Thursday 25th July. You will not be allowed entry to the festival on Thursday without this extra. Only valid with a weekend ticket. 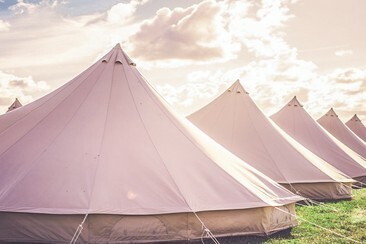 Think Classic Bell Tent… but better. The Luxury Bell Tent is 5m round. 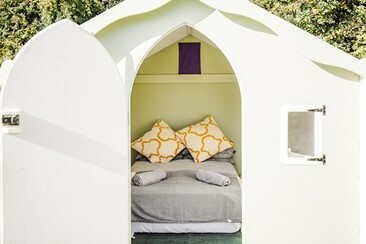 With a few added luxuries, such as a REAL framed bed… you’ll be amping up your Glamping weekend. The Luxury Bell Tent includes metal framed bed, duvet & pillows (cover), fitted sheet, mirror, bedside tables, doormat, and more. The Tipi is perfect for a group of friends or family that fancy a splash of luxury over the weekend. 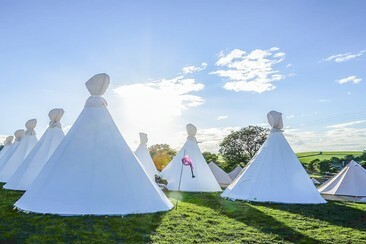 Plus they look pretty cool… the Tipi includes air beds, cotton bed sheets, bedside tables & mirror (and more). Basically, all the things you need to make sure you look and feel fresh every morning. The Luxpad is your own little Y Not wooden chalet. Glamp in style in your own, private home away from home this year. The structure includes metal framed beds, sheets and pillows, a mirror, power – everything and more to make sure you sleep like a king or queen! 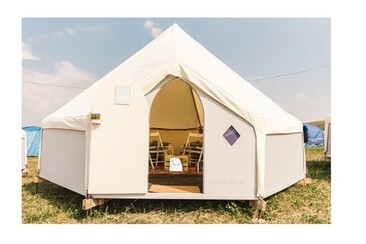 The Octopad is the combined canvas and wooden tent. Glamp in style in your own private home away from home this year. The tent includes a metal framed bed, sheets and pillows, a mirror, doormat, carpet, bedside tables, sockets, power – everything and more to make sure you sleep like a king or queen! If you are driving to the festival you will need to purchase a car park pass for the weekend here (one per car). Select the number of parking passes that you require and save money by purchasing in advance compared to paying on arrival at the Y Not Festival. If you wish to use your Live-in Vehicle you will need to purchase a Live-In Vehicle pass and camp in the Live-In Vehicle Campsite as there are no Live-in Vehicles in any other campsite. Valid from Thursday, 25th July to Sunday, 28th July. A return coach from Chesterfield, operated by Big Green Coach. A return coach from Nottingham, operated by Big Green Coach. A return coach from Leicester, operated by Big Green Coach. A return coach from London (Victoria), operated by Big Green Coach. Y Not Festival has come a long way since it started out 15 years ago, scooping up the UK's Best Small Festival award and becoming one of the country's most popular intimate festivals in the decade and a half since. It takes place in the beautiful surroundings of the Peak District National Park, curating a lineup that spans from rock and indie into sprinkles of dance. 2019's lineup will include headline sets from Foals, Elbow and Two Door Cinema Club. That's not to say Y Not hasn't had its hiccups. In 2017 the festival was cancelled after the weather played absolute havoc, turning the site into a mud bath. But a year later it returned triumphantly on a new site, headlined by The Libertines, Catfish and the Bottlemen and Jamiroquai. 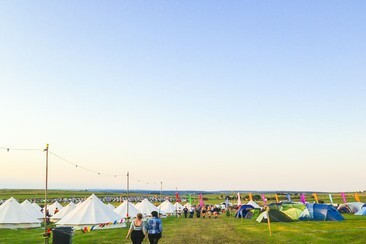 And beyond the music, festival-goers can also enjoy a variety of local ales, themed cocktails, mouth-watering food, crazy golf, comedy and an epic paint fight, all in the company of panoramic, lush countryside views. Y Not Festival takes on Aston Hill Farm, near the small village of Pikehall in the Peak District.